Book source: Received for free through The Masquerade Crew in exchange for an honest review. 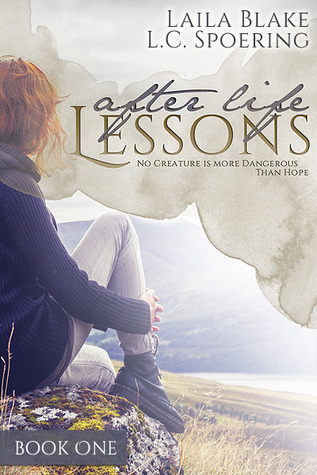 After Life Lessons is an interesting, dysfunctional kind of love story, and with zombies to boot. Sort of. Despite the zombie-apocalypse setting, the zombies themselves don’t play a particularly large roll. So if you’re looking for a book with a lot of zombie action, then this isn’t the book for you. What I enjoyed most in this book was the beginning, when Emily was so broken and detached from the world. I should have liked her journey into finding love again, but that part for me just wasn’t as compelling. I think my biggest problem with this book is I’ve had a difficult time separating myself from what it could have been. “No creature is more dangerous than hope,” is what it says on the cover. For me, that brought up images of a character afraid to trust, afraid to feel hope for fear of losing it again. It makes it sound like hope is the true nemesis, rather than the zombies. And so, when Emily began regaining her trust and her hope in life, I kept expecting something to happen that would take that from her. I wanted that to happen, because I wanted to see how she would cope. But it never did, not in any meaningful way. 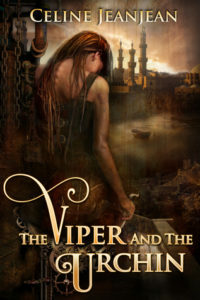 What this book focuses the most on is the relationship between the two main characters, Emily and Aaron. While the interaction between them was interesting for the most part, the whole thing just felt kind of shallow. I mean, it’s essentially the end of the world. Neither Emily nor Aaron has had much human contact since everything went down. It seems kind of inevitable that they would develop strong feelings for one another. So when they did, it didn’t really feel significant or important. Maybe I’m just not convinced that the characters really did love one another, and instead mistook their own need for each other to survive as love. And that’s OK, really. Honestly, in that situation, I don’t think anyone would be able to tell the difference. Despite the book being not quite what I expected, and despite some awkward narrative moments (“sorry” was spoken so much that it lost all meaning by the end) it was still an interesting book and fairly easy to read. And even though I kept rooting for someone to die, I still cared about the characters for the most part. They are flawed and sometimes annoying, but that is what makes them real. That, I think, is where the real strength in this book lies. The Towers is an interesting fantasy tale of a mountainous people and their battle against the Nightmare— a group of nasty creatures that comes around once every seventy years. The ways the people protect themselves against the Nightmare forms a belief system that is essentially a religion. It’s an interesting story, and I like the questions it brings up about human nature, about the lengths one is willing to go in order to protect others against danger. It illustrates well how humans are fundamentally flawed and who, despite best intentions, can often make a bad situation worse. It’s also a story that keeps love at its core, and the power that unconditional love can bring. On the downside I feel that the storytelling, on occasion, wasn’t as strong as it could be. There were a few areas where I felt the backstory was delivered in a rather heavy-handed manner (the 20-page prologue falls into this category) and a couple interlude-esque chapters that I felt could have been omitted without any detriment to the story overall. I do, however, like Jordan Jeffers’ writing style, which was a pleasure to read even when the story, at times, seemed to lag a little. On the whole, The Towers is a good story that brings up some interesting questions about humanity that gets you thinking, and that’s always a good thing. Book source: Received for free through LibraryThing in exchange for an honest review. Bloom is a lovely telling of two seemingly different stories. There’s Tennyson and Lil’it—one a boy/young man whose story takes place in our world; the other a faerie, whose story is set in a different world altogether. It was fun and interesting reading about these two very different characters and worlds, wondering all the while how they were related. That, I think, is the strongest quality of Bloom—the stories within the story, separate yet part of the whole. Wondering how the two worlds could be related to one another created a deeply engaging narrative, as did the characters that I found to be interesting and genuine. The story is, at times, endearing, which was a pleasant contrast to the sometimes more gruesome parts. I’ve had a really hard time trying to figure out what to rate this book. It’s worthy of five stars for its uniqueness as well as wonderfully touching moments that I found wholly unexpected for this kind of book. But there are issues. There were a fair amount of typos that kind of let the story down in their own incessant way. The pacing also kind of flagged in the middle and then the end came too soon, in my opinion. But maybe I only think that because it’s a really great story, and I just didn’t want it to end. I suppose 4.5 stars would be the rating I’d give it, and for the sites that don’t do half-stars, that means rounding up to five. 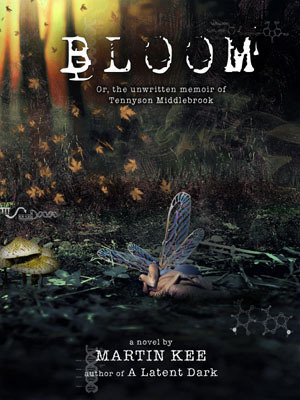 Bloom is a story that is one part sci-fi, one part fantasy, and seasoned with a good dash of horror. I’d recommend it to anyone who enjoys these genres, or to anyone who is looking for an interesting and unique read. It’s definitely one of the best books I’ve read in a while and I’m glad to have found it. 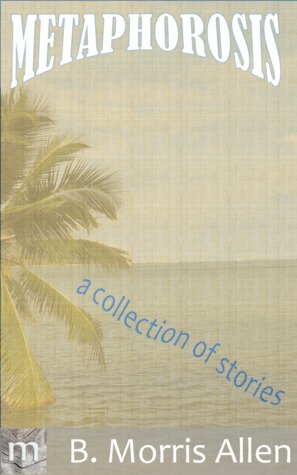 Metaphorosis is a collection of short, speculative fiction stories. 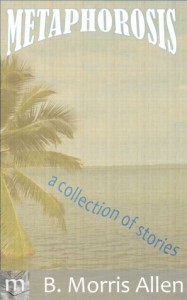 The stories themselves are quite interesting, featuring, at times, a rather unusual cast of characters. Some stories are clever with deeper meanings woven behind them; others are more lighthearted and fun. Unfortunately, I found the book could use a little more polish. The writing, on the whole, is rather good. But there are moments of awkward phrasing and passive sentence structure that weakened the narrative. It wasn’t so severe to completely negate my enjoyment of the book, but I do feel the book could have been better with a bit more editing. I’m tempted to forgive it all, though, for House of Hope. A great little story that made me glad to have found this collection. All in all, a fairly enjoyable read. The book is rather short, so it’s not a big commitment taking it on. If you like short stories, especially those of an unusual nature, then Metaphorosis could be worth checking out, warts and all.